Inspired by painted beach huts weathered over time, our Beach Hut Oak floor is pretty mix of cool white tones, softened by a wash of grey to pick out its slightly open grain and create a timeless shabby chic feel. 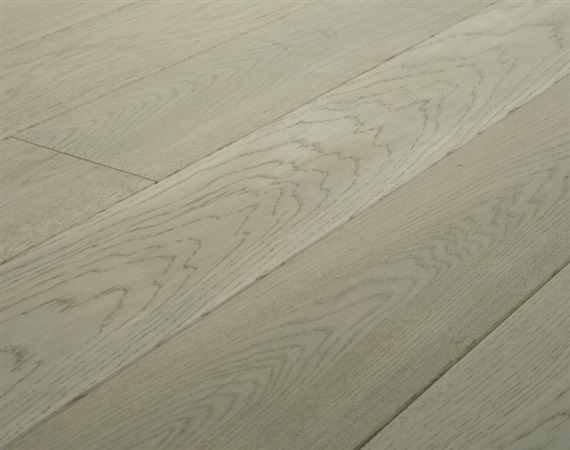 Made on our Elegance Oak this floor features smaller knots and is available in a choice of traditional solid oak boards and Strata, our award winning solid oak engineered boards. Beach Hut Oak is fully finished with matt satin hardwax oil, UV cured for extra durability so it is ready to walk on the day it is laid and easy to maintain with Broadleaf Wood Floor Cleaner and Broadleaf Wood Floor Wax.